A puzzle that perfectly fits in our terminology for Agriculture. You can complete the crossword online, and they´ll show you the answer key. Here you are listening exercise number 7. You may also find a pdf with the answer key. I think it might be useful for some students. Hi there! Let´s move on to listening exercises! Here you are listening exercise number 6. Contact me if you cannot solve the exercise by your own, I´ll be glad to help! ‘Foot and mouth disease' is the name for a livestock disease. 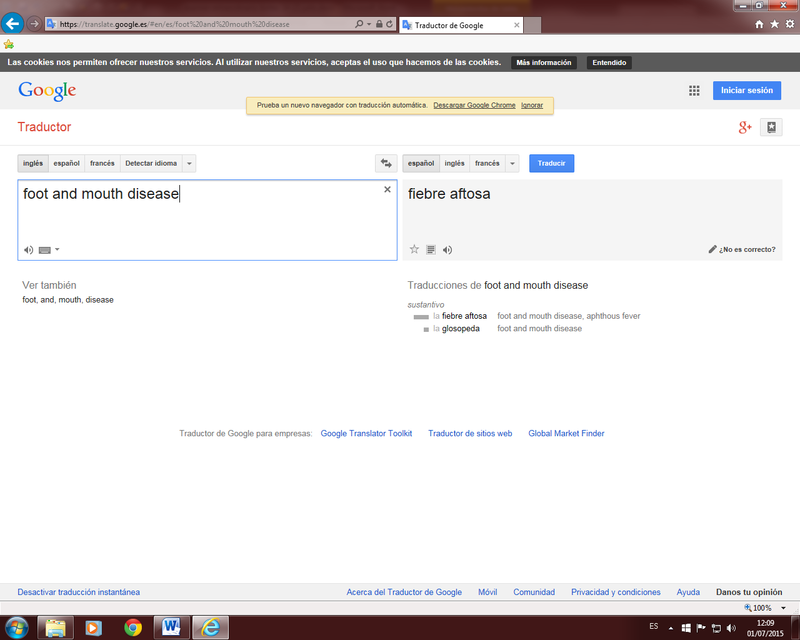 In Spanish it is called: 'Fiebre aftosa'. Some students translate the term literally into Spanish, i.e. word by word and the final result is a horrible translation. To avoid this type of translations, technical dictionaries are great! 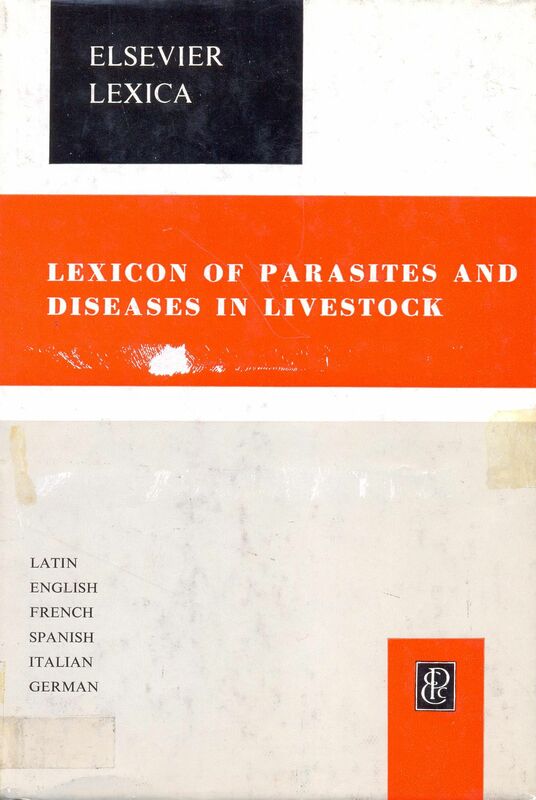 In this case, the 'Lexicon of parasites and diseases in livestock' provides a reliable translation. By the way, congratulations to 'google translator'!. I´ve searched for a translation there to show that this type of translators does not work with technical translations… and… I got really surprised! Yes a very technical name is well translated!!! However, specialised glossaries or lexicons, such as the 'Lexicon of parasites and diseases in livestock' are always very advisable. If you ever need to consult this dictionary, come to see us!, You are very wellcome! 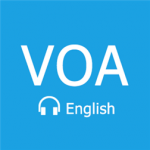 No matter if you are a student or a lecturer, here you´ll find a great source for learning American English… and yes! Agricultural English too! I hope it is useful for you too! 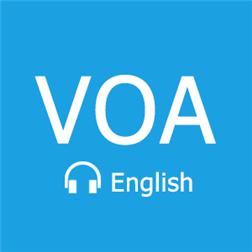 For one reason or another some agricultural terms still haven´t been translated into Spanish, or do not have a Spanish equivalent yet. Terraculture might be a good example for that, I´d say it is a new term that is settling down on our terminology, may be too new to definitely get established. Farming for a whole planet. I strongly recommend the following video if you still believe that humans can get things back on track, regarding Planet Earth. Hi, I´ve just created a new page in the blog called GLOSSARIES AND SELF STUDY CENTRE where students can find glossaries and some material for self study. The page is already available, you can see it on the top of the blog. It contains one document for the time being. I hope to provide more by the end of the week. http://blogs.upm.es/alonsoredondo/wp-content/uploads/sites/93/2015/05/a.mp3http://blogs.upm.es/alonsoredondo/wp-content/uploads/sites/93/2015/05/b.mp3It´s a long time since I wrote some stuff round here, sorry, plenty of work. 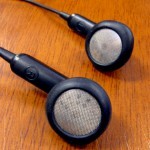 Let´s go on with listening exercises. Listening exercise number 5. Listen to the following definitions and then try to provide the correct term for each. See you soon, have a nice weekend!! Email me / comment, if you cannot complete the exercise. P.F.Fidalgo en What is permaculture?